The Iranian military on Sunday claimed it had shot down a U.S. reconnaissance drone in the country’s east near the border with Afghanistan, although U.S. and NATO officials believe it may have crashed by itself. Iranian state-run media quoted unnamed senior military officials as saying that its electronic warfare unit successfully targeted a U.S.-built RQ-170 Sentinel stealth aircraft after it crossed into Iranian airspace from its border with Afghanistan, although the reports did not say when the incident happened. In the Afghan capital of Kabul, the NATO-led International Security Assistance Force (ISAF) said the unmanned aircraft claimed to have been downed by the Iranian military might be a U.S. unarmed reconnaissance aircraft which had been flying a mission over western Afghanistan earlier this week. “The operators of the UAV lost control of the aircraft and had been working to determine its status,” an ISAF spokesperson said. But in the United States, military officials speaking on condition of anonymity said they were skeptical about the reports saying the Iranian military had downed the drone. Instead, U.S. officials believe the drone likely crashed by itself after contact was lost. 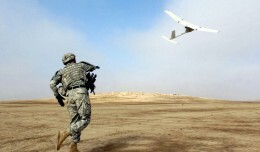 Afghanistan Set to Enter the Drone Age, Or Is It? Kabul hopes for spy drones to increase its sovereignty, but the reality may not match the hype. Sky-rocketing fuel prices, a drop in passengers and foreign currency shortages have forced Iran's aviation sector into turbulent times. 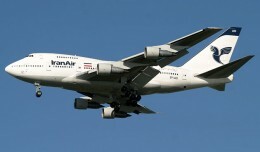 Iran Air has nearly doubled many international fares after the Iranian government decided to end jet fuel subsidies. Iraqi authorities on Saturday ordered a Syria-bound cargo plane to land in Baghdad to make sure it was not carrying weapons. 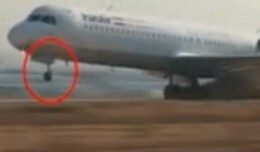 This Iran Air Fokker F-100 lost one of the two wheels that make up its nose landing gear while taking off from Tehran for Ahwaz.